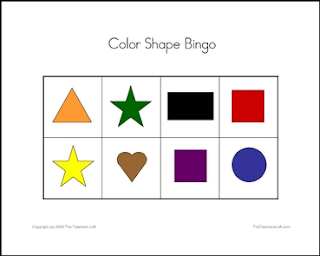 Our printable Bingo Games are a great way to supplement the lessons in your classroom. The Color Shape Bingo Game helps your students practice identifying colors and shapes. You can print your copies over and over! You have the ability to print unlimited worksheets and games for no extra cost! Be assured of our professional quality. Our lead developer is a special education teacher with years of experience, especially in teaching students with autism. Her lessons and materials, tested in her own classroom, emphasize hands-on, picture-based learning - perfect for students of all abilities! They are designed to provide practice and to assess student mastery of basic skills. The units are in .pdf format. You will need Adobe Reader to view and print them. This allows the files to be viewed on any operating system.